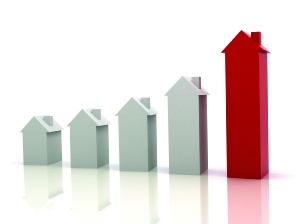 Dwelling prices in Australia’s capital cities are increasing at their fastest annual rate since May 2010, while values in Sydney are skyrocketing at a speed not seen since November 2002. The CoreLogic Hedonic Home Value Index for March 2017 shows that capital city dwelling values increased by 1.4% over the month, pushing the total annual growth rate to 12.9%. Four of the country’s eight capital cities – Sydney, Melbourne, Hobart and Canberra – are showing growth rates of more than 10%, while Perth and Darwin continue to trend lower. These results signify a continued resurgence in the pace of capital gains, CoreLogic head of research Tim Lawless said. The diversity of performance between houses and units is also a key feature of the current property market, Lawless said. Across the combined capitals, house values were 13.4% higher over the twelve months prior to the end of March 2017 while unit prices rose by 9.8%. “The disparity in growth rates is more significant in those cities where high new unit supply is more apparent,” Lawless said. Weaker conditions within the unit market reflected stronger levels of new supply across specific inner city precincts as well as negative consumer confidence caused by warnings of a potential apartment oversupply, he said. Lawless questioned whether such strong growth conditions could continue for much longer. “Given the recent policy announcements from the Australian Prudential Regulation Authority (APRA) are aimed at dampening investment related credit demand, we can expect lending conditions for investment purposes will tighten, particularly for investors with small deposits or those applying for an interest only loan. Organic factors such record low rental yields, increasing levels of apartment supply and more dramatic affordability constraints were also becoming more pronounced – all of which could further act as a brake on capital gains within the property market, he said.